2013: The Year of GAME ON!!! Happy New Year, Level Up Book Club! January is such an awesome month for folks who spend their days with kids in schools. Not only do you get to celebrate the fact that you've made it through half the year BUT you also get to relish in the best part of the new year - the opportunity for a fresh start: A reboot. A do over. (*AHEM*) Extra Lives! That said, as you might recall, at the end of last year, we decided to spend December chillaxing - that is to say, spending quality time with our latest read Extra Lives by Tom Bissell only when that time presented itself. And given how CrAzY December typically is, we're guessing that time was limited. So... we're wishing you a Happy New Year with a fresh start to this fantabulous book and a fun new challenge! S2: Task 4: Set a Goal. Jennifer is a shoe-in for this badge! Set a Game Based Learning goal. If you're participating in Level Up Book Club it is, no doubt, because you are either a) interested in game-based learning and how it can positively impact your students or b) you're already a true believer. So, why not use the flipping of the calendar to set a goal for yourself or for your kids this year? Maybe you'd like to introduce a console, like the Nintendo Wii, into your instruction. Or perhaps you'd like to incorporate gaming elements as a way of implementing the common core. Or maybe you'd just like to give yourself permission to spend 2 hours a week playing Minecraft so that you can discover ways to use it as part of your teaching. Or maybe you want to pluck up the courage to ask your principal to observe a lesson laden with GBL. No matter what your goal is, part of your challenge is to share it with Level Up. You can post your goal on Twitter - just be sure to use the #levelupbc hashtag as part of your post. Or you can send it to us via the Level Up Tumblr. 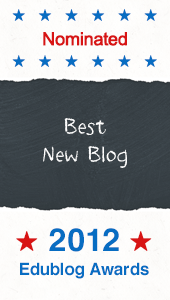 We CAN'T WAIT to see what you're plotting and scheming for 2013! 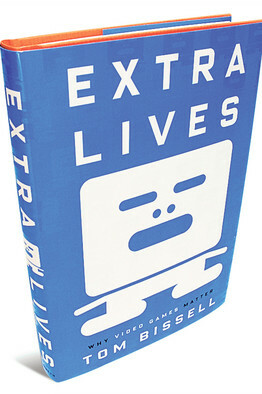 Grab, renew or download a copy of Extra Lives by Tom Bissell and pick up where you left off. If you've already finished the book, dust it off and refresh your member. But, if you're like us, and you started but haven't quite finished yet, it's time to dust off your copy and get back to it. We'll have a new text based challenge soon and we'll look forward to our Twitter chat tradition at the close of the month! that appeal to gamers and non-gamers alike! 2012 was an amazing year for Level Up. When we started this little book club, we had no idea how it would grow or how much it would add to our lives. 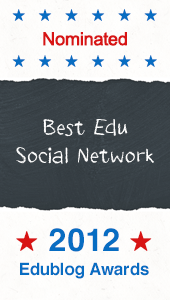 Thank YOU so much for being a part of the learning and sharing that goes on here and for keeping us moving forward in 2013!